Highly-sensitive and empathic people react to external environment, other people, and often have difficulty knowing whether what they are reacting to is ‘theirs’ or someone else’s. In general empaths/HSPs are greatly affected by the turbulent and chaotic nature of these times. Folks who identify as empaths and HSP require tools and resources to manage the impact of their surroundings on their sensitive nervous systems. In many cases HSPs may choose to develop their capacity for openness in a supported way, allowing them to use their sensitivities to become gifted healers. Fortunately, there are techniques that help support highly sensitive and empathic people. In my upcoming class, Intro to Practical Magic, we’ll work with techniques for clearing, grounding and working with energetic boundaries. We’ll also cover herbal elixirs to strengthen sensitive nervous systems. Fort Defiance, Arizona is surrounded by exquisite land: beautiful tall mesas, dry grasses undulating over quiet valleys, and a bright expanse of sky that takes your breath away. It is also home to the Tséhootsooí Medical Center, which predominantly serves members of the Navajo Nation, where Fort Defiance is located. For Michelle Kahn-John, PhD, nurse, former employee of TMC and member of the Diné, it is also the home base of important research on the outcomes of traditional Diné ceremony. While the medical center provides primarily western medical treatment, it also offers Diné ceremonial interventions with traditional healers and has been hosting Dr. Kahn-John’s research, sponsored by the University of Arizona and with the support of a grant by the Center for Shamanic Education and Exchange. Specifically, does traditional Diné ceremony support physical and psychological healing for those living with depression and emotional distress? Can a ceremony, alone, in which no medicinal herbs are ingested, create a change in the mental health of a participant? The question is a powerful one, and the results of the study quite promising. Participants showed a modest reduction in inflammatory stress markers (bio-chemical markers of emotional stress taken from the saliva of participants) after the ceremony and reported improvements in sleep, appetite, energy, motivation, family connectedness, brighter outlook, increased hope, less pain, fewer nightmares, decrease in body cramps and increased ability to perform activities of daily life. For those living with severe emotional distress, including depression, having another avenue of treatment can make a world of difference. In the United States as a whole, depression affects over 10 million people annually. In data collected by the National Center for Health Statistics, close to 13% of Americans take antidepressant medication. Incidence of depression and suicide are even higher among the Native populations: in the U.S. In 2010, the Navajo Nation experienced a peak in the suicide rate almost three times the national average. These alarming statistics prompted the focus of Dr. Kahn-John’s clinical research on the use of traditional ceremony for the treatment of emotional distress. The research study included 25 adult participants, who each participated in the ceremony, conducted by an authentic Diné Hataałii, a Navajo Chanter. This specific ceremony, whose name remains private upon the request of the Navajo Nation, is typically intended for periods of grief, loss, trauma and for difficult or challenging life transitions. It lasted approximately two hours and involved the use of prayer, chants, bathing, spiritual cleansing and body painting followed by a four day period of reverence, rest, self reflection and relaxation. Friends and family members were allowed to partake in the ceremonial process. No mind altering (hallucinogens) herbal preparations were utilized in this ceremonial process. At the exit interview, participants and family members of participants reported a reduction in emotional distress, and expressed much appreciation, indicating the ceremony was helpful for physical, mental and family health. 30 days after the ceremony, the effects were still in place, confirmed by reevaluation of emotional distress and inflammatory markers. Traditional Diné ceremonies are health restoration systems that have been in place for generations. The survival of these ceremonial practices validate their effectiveness in promoting physical, mental, emotional, social and spiritual health and well being for the Diné. The ability to demonstrate effectiveness of ceremony within a scientific, ‘evidence-based’ approach allows not only for these traditional ways to be scientifically validated, but also encourages the acceptance of traditional indigenous wellness interventions such as ceremony to be considered acceptable and reimbursable healthcare practices by healthcare insurance companies. Scientific validation of ceremonial interventions may be the missing link that will allow us to integrate ancient ceremonial healing approaches alongside standard medical practices thereby creating a more holistic and culturally tailored and inclusive healthcare system. An additional benefit of scientifically validating the beneficial outcomes of ceremony is to promote ceremony within the Diné Nation, as well as other American Indian and Indigenous communities that historically practice ceremonial healing. The preservation of cultural and ceremonial wisdom creates the opportunity to preserve this knowledge for younger generations. The benefit of ceremony is not specific to the healing and wellbeing of one person; everyone involved benefits. “This research project reaffirmed my faith in ceremony. Ceremony helps cleanse you mentally, emotionally, physically. It helps restore balance” (Kahn-John, 2017). Dr. Kahn-John hopes to continue this work with her home community, the Diné Nation and hopes to collaborate on projects that support the protection, preservation and promotion of cultural and ceremonial wisdom within American Indian and Indigenous populations worldwide. Here in the Northern hemisphere, the Winter Solstice takes place on December 21st, the shortest day and longest night of the year. Many of our ancestors honored these cycles of sun and moon, planets and stars, and built temples and structures to mark these passages. At this time of year I always feel the pull inward and meditate on the balance between the deep, restorative stillness of the dark, and the return of light and symbolic awakening of consciousness. The winter solstice is also a time to be deeply reflective of where we are coming from, and where we are going, using the energy of the growing sunlight to build the potential for what we want to grow in our lives. However, this season I have found that in the building intensity of the struggles of the world, it is hard to generate authentic hope and optimism. I recently listened to an interview that Joanna Macy gave, A Wild Love for the World, in which she remarks that it’s ok to not feel optimistic in the face of overwhelming challenges on the scale that the global human community is facing at this time. Maintaining optimism can be exhausting, and doesn’t allow for the fullness of our experience. She speaks of not turning away from our grief for the world any more than we would abandon a loved one who was sick or hurting. Suppressing and covering over grief leads to apathy and denial, which stems not from indifference as much as avoidance of pain. Macy and other spiritual leaders at this time of ‘Great Turning’ speak of the need to have the courage to be with what is, to hold each other and pull back the veil of denial that has shielded us from the pain of the world and the systems of an extractive industrial growth society that are crumbling. The poem for me calls to mind the lyrics from ‘Anthem’ by the late Leonard Cohen: ‘Ring the bells that still can ring/forget your perfect offering/there is a crack in everything/that’s how the light gets in.’ This Solstice, welcoming the light that comes in through the cracks, through the battering of the bell against the bell tower. Welcoming the light of consciousness as we continue to pull back the blinders that have covered our awareness for so long, liberating us from denial and from the illusion of separation. Setting intentions to feel more, to love more, and ultimately, to act from that love in creation of a new Story for the People and a Just Transition for getting there. Recently I was driving and spotted a license plate frame that read ‘Geneology: Collecting Dead Relatives.’ I loved this because I’ve been immersed in the work of Collecting Dead Relatives in earnest for the past several years. As a recovering Catholic, I grew up lighting candles for family members who had passed, and honoring All Saint’s Day by visiting grave sites with flowers and cemetery candles that would be kept burning for the entire month of November. Later in life I reclaimed my ancestral tradition of celebrating Día de Muertos, or perhaps my Mexican ancestors reclaimed me by remembering me to this practice. Over the years my celebration of this period has expanded to last several days or even weeks with an elaborate ofrenda altar and preparation of special meals. I am called to honor and remember not just those who have been lost that we know and can name, but also those farther back through the years who don’t have a name on the family tree. 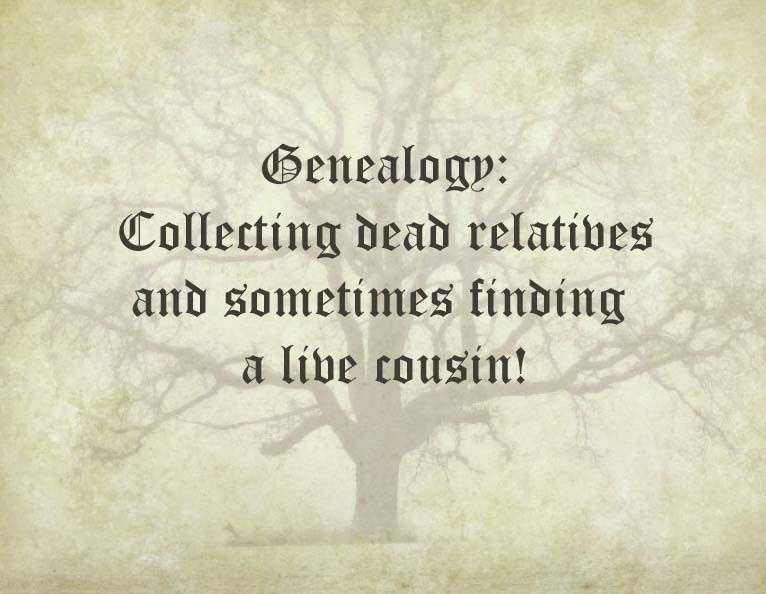 In my passion for ancestral reclamation I have collected many dead relatives through genealogy, research, connection through ritual and meditative practice, and genetic testing. I’ve unexpectedly found living cousins, to be sure. But the most profound part of this process has been the work of transforming ancestral patterns through care, attention, and healing in my own body. As a healing practitioner I firmly believe that we have the capacity in the present to transform the narrative of the past through our healing, to shift the embodiment of patterns in our lineage and affect both past and future generations. I’ve experienced this myself in many ways, through healing processes that continue to unfold, time-traveling through the portal of the body and the genetic code to transmutate and metabolize what was left unresolved from the past. This work has been a huge part of my own healing journey and is a central component of the healing work I do with others. So often the physical, mental/emotional, and spiritual malaise that folks are living with have a root in inherited ancestral patterns. For the past several years I’ve been convinced that doing ancestral healing work is integral to shifting our course of planetary harm, and is not only transformative for individuals and the collective but a form of social justice activism. Over the next few months, I'll be co-hosting a monthly book group with my friends Gaia Kile and Dr. Beth Barclay to discuss Lost Connections by New York Times bestselling author Johann Hari. In this book, Hari shares his firsthand experience of living with depression and his research on the underlying physical, emotional and societal components of depression and anxiety. 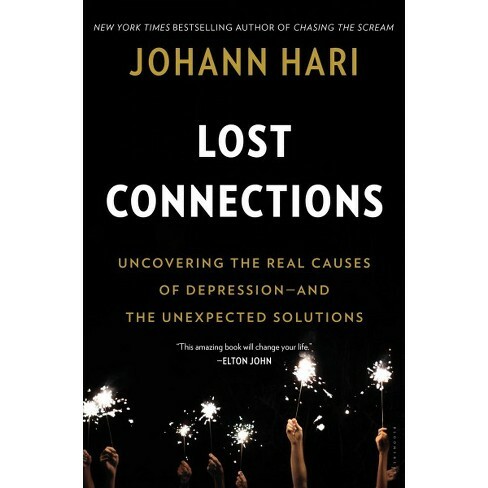 Through interviews with experts in medicine and neuroscience, engaging conversation with members of diverse communities, and thorough journalistic research, Hari explores nine causes of depression - all related to disconnection - and lays out possible paths for reconnection. Part I of Lost Connections tackles some of the biggest controversy about depression and conventional treatments, digging into the shortcomings of the monoamine theory of depression and low statistical efficacy of antidepressant medication. This material has been revealed in previous publications such as Robert Whittaker's Anatomy of an Epidemic, The Emperor's New Drugs by Harvard Director of Placebo Research Irving Kirsch, and Dr. Kelly Brogan's A Mind of Your Own. It's important to note that Hari, and our discussion cohort, are not disputing a biophysiologic component to depression, but rather are eager to dig into what is known about the causes of depression that are not currently being incorporated into conventional treatment, or being addressed on a preventive basis. These causes include societal factors which lead us to consider the rising incidence of depression as a societal problem, rather than exclusively an individual problem. In The New Mind-Body Science of Depression, a tome of research analysis written by psychiatrists Vladimir Maletic and Charles Raison, the authors state that "...in fact, we already know more about the cause(s) of depression than we generally acknowledge. Thus, we can say with confidence that gene-environment interactions are at the heart of depressive causality." That much is agreed upon; but where exactly to pinpoint on the gene-environment continuum (GEC) as the 'real cause' of depression is not. Maletic and Raison argue that the answer depends upon what you consider to be 'inside' and the 'outside,' and that lies in the eye of the beholder. For example, a geneticist would consider everything above the level of the gene the 'outside;' neuroscientists draw the line at the brain; psychologists, at the level of the individual patterns and behaviors; systems theorists, between interactions in the family; sociologists at the level of society or culture. Part II of Hari's book explores nine causes of depression and anxiety, located at several points along the GEC: the genetic (epigenetics), body/brain (neuroplasticity), individual behavior (disconnection from meaningful work and from other people), family of origin (adverse childhood experiences [ACES], trauma) and societal factors (disconnection from nature, societal hierarchies and systems of oppression). Though Hari's scope is pretty wide along the GEC spectrum, his primary focus and critique is at the societal level. Section III deals with routes to 'reconnection' and social prescriptions for shifting toward meaningful values, meaningful work, and repairing our connection to the natural world. It speaks of the need to acknowledge and heal trauma, both on a personal level and a societal level, and to dismantle the dysfunctional systems in place that contribute to intergenerational and cultural trauma. It speaks of the need to reconnect to one another, and take care of one another, in new ways. Hari shows us that the societal end of the GEC spectrum is rich with opportunity for creating a more favorable environment for human connection and mental health. Our first meeting is May 24th at 7:15 pm at downtown AADL library. Hope to see you there! Copies of Lost Connection are available at a 20% discount to book club members at Bookbound independent community bookstore. Indigenous peoples occupy about 20% of the world’s territory, which is home to about 80% of the world’s biodiversity. By protecting their land rights, we protect the future of life on this planet. I invite you to consider this possibility: What if indigenous people, their land and sacred sites worldwide were honored and protected? WHAT IF? I recently had the profound honor of making a pilgrimage to Wirikuta and Cerro Quemado, sacred sites of the Indigenous Wixáritari (Huichol) people of Central Mexico. The Huichol make this traditional pilgrimage annually, taking about 40 days to cross the territories from the ocean to the valley of Wirikuta, and concluding with a trek to the peak of Mount Quemado. In Huichol cosmology, the sun was born on the peak of Quemado and is represented in ceremony by Tatewari, Grandfather Fire. Mount Quemado itself represents the head of the Blue Deer god, Kauyumari. It is believed that their ancestors come from the valley of Wirikuta and reside there. During our time in the area we could certainly feel the power of these sacred places! After spending a night in Wirikuta, we prepared for our early-morning ascent of Quemado from the village of Real de Catorce. Real is a historic mining town that was constructed by the Spanish in the 1700s. It is now a sparsely inhabited village, and a pilgrimage destination site for the Huichol. Leaving at about 4 am, we departed the village on foot to make the ascent in time to summit by sunrise. Elevation of Quemado is about 10,000 feet, and the climb took roughly two hours to make. Once we reached the peak, our group placed offerings for Kauyumari and Tatewari at the mountaintop outdoor shrine. As the sun began to rise over the horizon, we welcomed it with music and prayer. Following the prayer offerings, we shared as a community the essence of our benedictions. The central theme of these were the wish for protection of sacred sites worldwide and preservation of indigenous wisdom. Though Quemado itself is a UNESCO-designated natural sacred site, recognized for both its cultural significance and ecological diversity, the land is still under threat from aggressive development by the silver mining industry. In 2009, the Mexican government sold the land rites of Real de Catorce to Canadian mining company First Majestic Silver. In response to the sale, a small group of indigenous leaders, NGOs, and Mexican celebrities have been protesting mining in the area. Their efforts prompted the ‘Declaration for the Defense of Wirikuta‘ which protected the site, and a subsequent victory in federal court blocked further development. However, in Mexico such victories can be short-lived as the threat of development and exploitation of land for profit looms. If mining ever does occur, the impact would have devastating environmental, health and cultural impacts for the Huichol people. With mining halted, the government has promoted tourism in the area, but forced the Huichols to sign off any right to profit from tourism in the area. The Stevens have founded a non-profit organization to support the preservation and exchange of indigenous wisdom. The organization, Center for Shamanic Education and Exchange (CSEE) has offered a grant to the Huichol people which will allow them to restore the temples at the heart of their ceremonial center in Jalisco. The building project provides resources to construct new roofs for the Queaehruitea temple buildings using traditional Huichol building methods, and provides elders of the community the opportunity to teach younger generations traditional building techniques. CSEE is requesting donations to support the rebuilding project. Please consider supporting this project and the CSEE mission of preserving shamanic cultures with either a one-time or monthly donation by clicking the links below. Among my holiday preparations this year has been production of Elderberry Syrup for gift giving. A beautiful and tasty cordial that supports the immune system, elderberry (Sambucus nigra) has been shown to shorten the duration of colds and flus and is a great preventive. One study showed elderberry reducing the duration of cold by three days, another showed it reducing the severity of flu symptoms. In vitro studies with elderberry found it could inhibit the H1N1 flu virus. My recipe below is adapted from the Mountain Rose Herbs blog. Combine the berries and herbs with cold water in a pot and bring to a boil. Reduce heat and allow herbs to simmer for 30 to 40 minutes. Remove from heat and mash the berries in the liquid mixture. Strain the berries and herbs through cheesecloth and squeeze out the juice. Measure the liquid and add an equal amount of honey. Gently heat the honey and juice for a few minutes until well combined. Do not boil! Roxas M, Jurenka J. Colds and influenza: a review of diagnosis and conventional, botanical, and nutritional considerations. Altern Med Rev. 2007 Mar;12(1):25-48. Review. ‘Tis the season for making Fire Cider, a delicious way to stoke the flame of your digestive and immune systems to stay healthy and warm this season. It takes a few weeks to concentrate, but once it’s strained it will keep in the fridge for at least a month. Use it as garnish to spice up a dish before serving, or toss with salad or roasted veggies. During cold and flu season I take a straight teaspoon every day for prevention, and more frequently if fighting a cold. The herbs and spices in this recipe are powerful anti-inflammatories, antiviral and antimicrobial, and raw honey is known for stimulating a healthy immune response. Fire Cider is a bit of an acquired taste and looks a little gnarly in the jar, but I promise it is worth getting used to. Last year I made a giant batch and gave a jar to everyone on my list (much to the dismay of some, I'm sure!). Now, even Martha Stewart makes Fire Cider! Prepare your roots, fruits, and herbs and place them in a quart-sized glass jar. If you've never grated fresh horseradish, be prepared for a powerful sinus-opening experience! Pour the apple cider vinegar in the jar until all of the ingredients are covered and the vinegar reaches the jar's top. Use a piece of natural parchment paper under the lid to keep the vinegar from touching the metal, or a plastic lid if you have one. Shake well. Store in a dark, cool place for a month and remember to shake daily. After one month, use cheesecloth to strain out the pulp, pouring the vinegar into a clean jar. Be sure to squeeze as much of the liquidy goodness as you can from the pulp while straining. Next comes the honey. Add and stir until incorporated. Taste your cider and add more honey until you reach the desired sweetness. Did you know that the heart generates the strongest electromagnetic field in the body? The electrical field of the human heart is 60 times than that of the brain, and its magnetic field is 5000 times greater. This electromagnetic field can be measured with instruments, and has been found to extend several feet beyond the body. 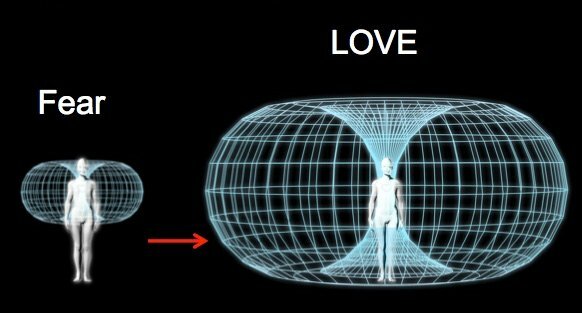 Studies of the heart’s electromagnetic field show that it receives information from the surrounding environment, and also transmits information about one’s emotional state. Positive emotions such as gratitude, love and joy correlate to larger electromagnetic field, whereas negative emotions correlate to a more constricted field. Cultivating emotional states like gratitude create heart rate variability rhythms that are highly organized and coherent, and are associated with better physical, mental and emotional health. These positive emotional states enhance coherence of neurological and biorhythms, improve immune function and elevate mood. Try the meditations below to enhance your experience of gratitude every day. Place your hand on your heart, and close your eyes. Coordinate the breath with your heartbeat. Breathe out while counting 8 heartbeats, then breathe in while counting 8 heartbeats. Focus your attention on your heart area, imagine breathing through your heart. Breathing deeply, inhale for a count of 5-6 seconds, then exhale for 5-6 seconds. The three frequencies of gratitude, love and awe are essential 'nutrients' for cultivating wellbeing and empowering your life. Sitting comfortably with your eyes closed, call to mind things that you are grateful for and spend several moments experiencing the sensation of gratitude. Next, focus your attention on people or things that you love. This could be a family member, a sweetheart, a pet or even a cherished object or experience that you love. Take a few moments to dwell in the vibration of love. Finally, bring to mind something that makes you feel awe, such as a powerful place in nature or awe-inspiring experience. Soak in the feeling of awe. The Internet has made it possible for anyone with access to a computer to research geneology and piece together their family tree. Databases like Ancestry.com provide a platform to search and collect ancestral data, connecting millions of people worldwide. Since 2012 this site alone has grown to host over 4 million users, comprising 90 million family trees from over 80 countries worldwide. In addition, breakthroughs in the scientific discovery of genetics and epigenetics have given us new ways of thinking about our ancestry. The study of genetics only began a mere 100 years ago, with the discoveries culminating in the end of the 20th century with the Human Genome Project. Completed in 2003, researchers succeeded in mapping the entire human genetic sequence, and were surprised by the relatively few number of genes (about 30,000) having great similarity to much simpler organisms like the fruit-fly. Prior to this discovery, the ‘Primacy of DNA’ concept held that genes were destiny. Following on the heels of genetics, the field of epigenetics is only a couple of decades old but has already settled the debate for once and for all: human development is caused by both nature AND nurture. Epigenetic science unveiled mechanisms for how our genes interact with the environment to determine expression. The field of epigenetics has opened up new understanding of disease risk as being modifiable through lifestyle and the environment. We now understand how information can be passed genetically from one generation to the next without altering DNA, by turning gene expression ‘on’ or ‘off.’ These days, anyone can go online and order their own genetic test through 23andme or Genes for Good, and this data can be interpreted through websites such as Promethease and Genetic Genie to produce epigenetic reports. This information can be used to create an individualized plan of risk-reduction, since epigenetic expression can be modified through nutrition, lifestyle, stress management, and various holistic healing modalities. In my clinical practice I work with these tests and interpretations which can have great impact on patients' health. Much of the original human research in the field of epigenetics has focused on the inheritance of generational trauma. Scientists worked with the descendants of Holocaust survivors, and the offspring of survivors of the Dutch famine. They discovered changes in genetic expression which occurred as the result of trauma experienced generations before. In our current sociopolitical context of the West, and specifically the United States, there is a profound legacy of intergenerational trauma and wounding from native genocide, slavery and colonialism that informs contemporary systems of oppression. 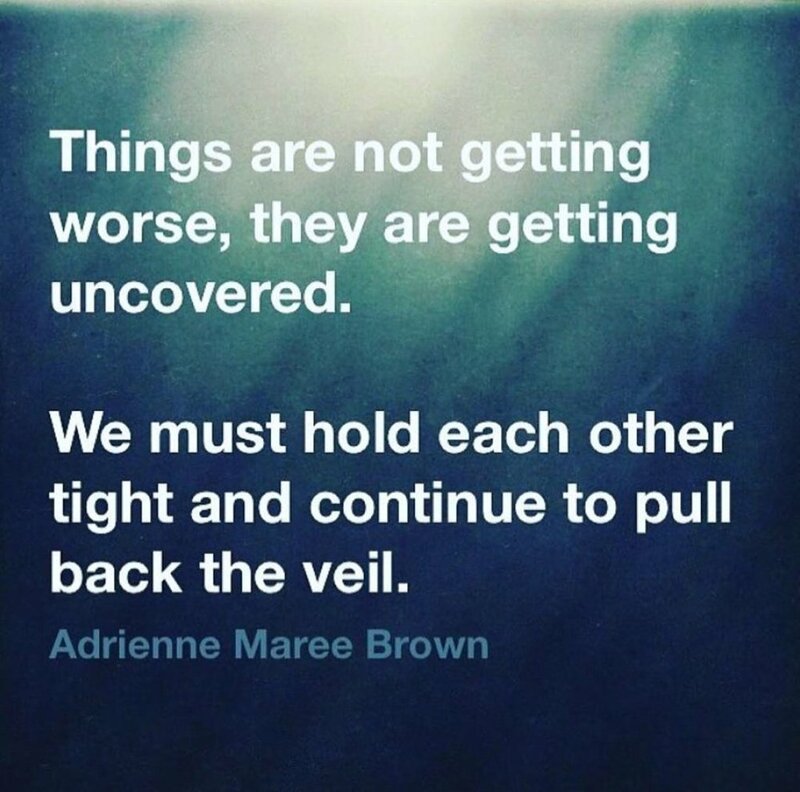 In our current shifting political climate, the surfacing of these wounds - which have always existed, but remained marginal in dominant culture - invites an opportunity for examination, reparations, amends, and healing. Improving our relationship to our origins, which alleviates internal conflict/conflicting commitments/resentments that we carry in our bodies. This can be manifest in a multitude of ways, including genetic history of both colonialism and the oppressed within one’s lineage. Improving our physical, mental, emotional and spiritual health and that of our future lineage. I firmly believe that self-care is absolutely essential to be part of the solution to planetary healing at this time. Invite healing to our lineage for past, present and future generations. In his book Ritual: Power, Healing and Community, Malidoma Somé wrote that throwing away one’s culture is an insult to the dead that can lead to unresolved ills, including what he calls ‘starvation of the soul.’ To restore ourselves, we must slow down, face our fears, and remember how to perform ritual for personal, community and ancestral healing. To that end, I am excited to be offering the following upcoming workshops on epigenetics and ancestral healing with my friend and colleague D.K. Brainard - see events details below. In addition I'm offering a 20% discount on Epigenetic and Ancestral Healing consultations (in-person or remote). Click here for information and use code ANCESTORS at check out. Epigenetic science is now validating what shamanic traditions have known for thousands of years. Epigenetic research has revealed that simple lifestyle and vibrational healing techniques enable us to 'turn off' the negative gene expressions associated with dis-ease states and turn ON gene expressions that create better health and more happiness, creativity, and wellbeing. Many of these scientifically proven techniques are quite simple and take very little time to perform on a regular basis. Gain a new perspective on leading-edge science and vibrational healing modalities. Practice specific techniques to change your own genetic expression to improve your health, reduce disease risk, and experience more energy, wellbeing and inner peace. Learn simple ways of communicating with helpful ancestors to clear personal and ancestral trauma. Understand what ancient wisdom traditions say about our evolving experience of time and why quantum healing techniques are so powerful at this time. Take part in the healing revolution on the planet! May all beings be safe, may all beings be happy, may all beings know joy, may all beings know love. May all beings be free from suffering, today I will do all that I can to make this so. This Solstice in honor of the Dark Mother, the divine feminine principle of potential and possibility, the mother of compassion and ruthless dismantling of broken structures, may we dissolve our fearful associations with darkness and learn to be with it. May we create space to allow for the exiled emotions of turmoil to move through. May we come to reconcile with the discomfort of feeling unsettled in the unknown darkness before calling back the light. In the darkness of these waning days of 2016, I offer two meditations, on going into darkness and bringing back the light. Inspired by Vedic Enter the Darkness meditation, the intention is to enter the darkness within as a well of receptive potential and the source of existence. Step 1 (20 minutes): Sit or lie down comfortably and close your eyes. With our eyes closed, our attention goes within. The internal landscape becomes available to us, in images or words, in feelings or thoughts. As you become aware of these, blanket them in darkness. Let the inner darkness be the focal point and allow this to expand. The intense darkness within is the same potential energy as within your mother's womb, and this darkness contained the potential that became your causal body, the energetic space surrounding your physical body. Stay with the intense darkness, and if your mind wanders just bring it back. Be with the darkness. Step 2 (5 minutes): Open your eyes and bring your inner darkness outside of you. With your eyes open, see the same potential space that you saw in the intense darkness within. The Winter Solstice is an ideal time for dream-seeding and intention-setting, and for working with fire as a transformative element. If possible, light a fire in a fireplace or fire pit, or work with a candle in a glass as a focal point of meditation. Scrying is a method of meditation using an object such as a candle flame to focus the mind and allow the gaze to soften. Relax and allow the flames from the candle to draw your attention deeply. Soften your gaze to allow the second attention to come to the forefront. Second attention is awareness of non-ordinary reality, allowing for access to the unconscious and connection with sources of support and guidance. Allow this awareness to open you to dreams and intentions for the year to come. Blessings on your Solstice and new year! For more mind-body meditations in a structured self-care survival toolkit, sign up for my 6-week 2017 Radical Self Care program beginning January 5th. We don’t even know how exhausted we are. There has been so much work in the dreamtime collectively as our conscious personalities and bodies are “asleep”, that we don’t feel rested. We have been psychologically and psychically hypervigilant, holding a very big container for positive change and evolution and we are afraid to put it down. It is time to take a break and let what has been put into motion play itself out. The path is clear ahead of us and it is all about the personal healing we need to do on ourselves. In addition to ramping up our self care basics (eat nourishing food, get plenty of rest, connect with beloveds) this is a good time to turn to plant medicines which offer nervous system support as a balm for the soul; remedios for susto. Hawthorne is an herbal ally that offers balm for the heart and nerves during trying times. An ally in the softening of grief and shock, Hawthorne supports one to be in their heart center. It is considered a trophorestorative, meaning that it restores through nourishment, building up healthy tone and function. Astrologer and herbalist Jaysen Paulson formulated a honey-based Hawthorne elixir simply described as 'heart medicine to aid in our actions for the next four years.' Community educator and herbalist Angel Putney created a Strong Heart glycerite with Hawthorne, Rose, Lindon, Wood Betony and Sacred Basil as an offering for the Water Protectors at Standing Rock and to "support strong fierce hearts." I am grateful that these two tapped into the heart medicine that is needed at this time, and I will be carrying a limited supply of their formulas at my clinic, which can also be ordered directly from the herbalists while supplies last. Aromatherapy is another way to support the nervous system, since fragrance enters the limbic system directly through the olfactory nerve and has an immediate effect to calm the nerves. Bergamot, Rose and Sandalwood lower stress hormones, reduce anxiety and help improve insomnia. Citrus oils, lemon and orange, have been shown to uplift mood and boost serotonin, alleviating depression and shoring up hope. These oils can be diffused, used as a room spray, put in your bath, or placed on a hanky to keep with you throughout the day. One thing is for certain - self care will be more critical than ever during the days ahead to maintain fortitude and stay grounded. For more structured guidance and a self-care survival toolkit, sign up for my 6-week 2017 Radical Self Care program beginning January 5th. About three weeks ago, I held a webinar entitled 'Radical Self Care: toolkit for surviving difficult times,' which I developed because the pace and stress of modern life are too much for most of us. The webinar covered self care practices but more importantly the idea that self-care is an imperative for conscious folks these days and is in fact an act of political resistance. To not be broken and broken down by a constant news stream of negativity and fear-mongering, of world terror and environmental destruction, to stay in a place of compassion we NEED to take care of ourselves and each other. This work is so important to me personally and professionally that I developed a 6-week intensive program following the webinar, which by popular demand is running a second course next month. As I've shared elsewhere, I was in an auto accident about 6 months ago, which thankfully left me with fairly minor injuries and for which I was able to receive immediate and excellent care. And then life went on, until what I thought was a very minor bump on the head triggered after-effects of post-concussion syndrome. Ironically, in the early throes of these symptoms I happened to have a professional meet-and-greet with a functional neurologist, Dr. Gireesh Velugubanti, who shared with me the Rivermead Post-Concussion Syndrome symptom questionairre. Even then, I realized I had several of the symptoms. But, I thought it was not a big deal, and carried on with life. Kids started back to school, life was hectic, I was busy seeing patients and running my Self-Care program, and doing probably less than my best at walking my talk. I even attended a fabulous herbal conference and learned new stuff and met great new people -- and then I crashed. The prognosis of recovery from a traumatic brain injury (TBI) can be months or years, sometimes weeks for more minor injuries. And, what you do in the early stages of symptoms makes a huge difference in the prognosis. One study showed that people who did literally nothing -- little to no reading, TV, work, social life, home chores -- had half the recovery time of folks who pushed through. That got my attention! My livelihood and life's work relies on my brain -- to multitask, learn, make connections, remember information, and synthesize it to help people who are struggling with health issues of their own. I'm sure by now everyone has heard about Hillary's pneumonia. This is my point exactly - she thought that having pneumonia wasn't a big deal. We are taught (especially as women) in our culture that we must push on through, keep going, it's not a big deal, keep going, keep going. And it is NOT WORKING OUT SO WELL, folks. As Jim McDonald, one of the astute herbal teachers presenting at last weekend's Great Lakes Herb Faire said, we have become too tolerant to stress. Our tolerance for discomfort is ridiculously high, and it comes out in other imbalances. Natural medicine should NOT be aimed at better enabling us to tolerate intolerable conditions. We need to MAKE TIME to take down time, or else. So I find myself, as I often do, confronted with my own inner obstacles to walking my talk and practicing what I preach. I am writing this in one of my very short allowances of screen-time while I rest at home and have cancelled just about everything, and am practicing asking for and receiving help. I know that for many of us these are not easy things to do, and I promise you that your body will create the need for you to rest if you don't make time for it regularly. Your higher wisdom will force a situation where you must make time to take down time. Even those of us who know what we 'should' do will be gently (or not so gently) presented with these opportunities. Be gentle with yourselves, people.